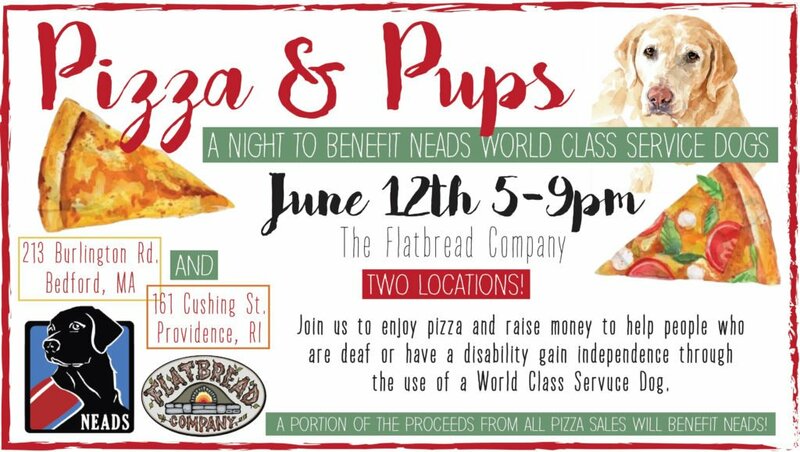 This annual fundraiser for NEADS will be held at Flatbread Pizza Company in Bedford/Burlington, MA AND at Flatbread Pizza Company in Providence, RI. They will donate a portion of any large and small pizza they sell between 5-9pm – eat-in, take out or delivery. NEADS will be selling apparel, gifts, & goodies at the restaurant-plus fun raffle prizes! There are party tables at Flatbread so this could also be a nice time to have a party or large gathering of friends and family! What better way to celebrate than by helping a great cause! ?